They say you get only one first impression, so make it a good one. 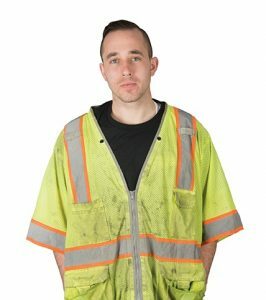 While you are focused on your project within a work zone, who is acting as the face of your company while protecting your employees and the traveling public? The right traffic control partner should assure your team—and the traveling public—that they’re professionals. 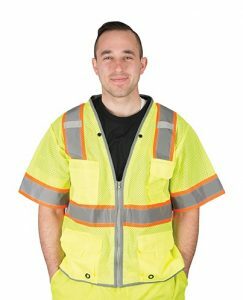 One of the first things you can do to assess the quality of your traffic control partner is looking at the condition of their personal protective equipment (PPE) and traffic control devices. 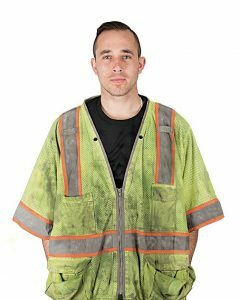 First and foremost, the condition of PPE and traffic control devices is a safety matter. 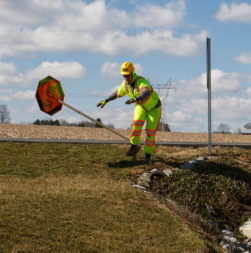 Any time the visibility of safety equipment is reduced, it diminishes its ability to assist in protecting your employees, your equipment, and the traveling public. What’s more, dirty and damaged equipment looks unprofessional. Selecting the right partner should not only keep you safe but also aid in raising the public’s image of your company. How do you know when a piece of equipment does not meet the standards of safety and quality? Shown are examples of equipment in acceptable, marginal, and unsafe conditions.